Thirsty Pilgrim: Drie Fonteinen to Brew Again? And Other News. You might think there is a limit to my ability to get Belgian beer scoops from Central American soil. You'd be exactly right. My friend Chuck Cook is exploiting that limit ruthlessly. But he's just doing what he always does: packing lots of info-gathering and photo-snapping into another brief jaunt through Beer Paradise. * Also look way down below for tips on ZBF weekend. Today Cook reports that Drie Fonteinen master blender Armand Debelder is "likely" to start brewing his own lambic again. 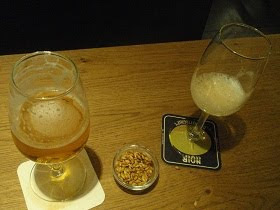 As I reported last January, Debelder decided to stop brewing his own lambic and re-focus on blending his famous geuzes. "I'm not brewing anymore. That's definite," he said. This was partly because of the expense, and partly because of his age. He is approaching 60 and brewing meant long, exerting work days. However, Cook reports that Debelder has hired an assistant, which appears to be the neat answer to that problem. Also, geuze blenders use different lambics to achieve their final product, and Debelder had an exacting recipe for his house-made portion. The idea was to have Frank Boon duplicate the recipe especially for Drie Fonteinen, but that was never going to be an ideal solution. Cook also reports that a lambic-oriented visitor's center will open in Pajottenland in mid-May. Cook says it will be 3 km from Beersel. Now here I've really failed you, because it's right here in my notebook from last January: "2011 - Oude Geuze Visitors Center. In Alsemberg. For HORAL members. Four languages: Dutch, French, English, German. Some help from Flemish government." Just another one of those things that got lost in the move. Sorry about that. After the bit about the Flemish government, my notes say that Debelder whistled and said, "They've got lots of money for that!" 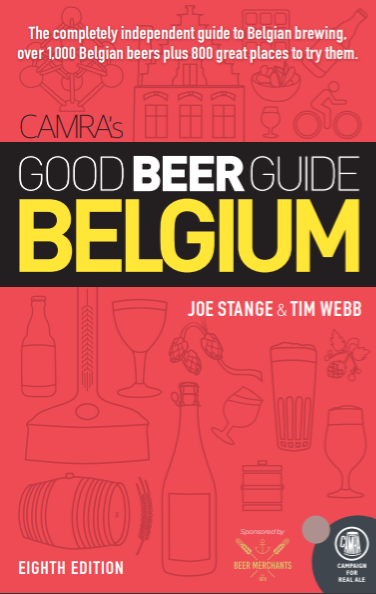 The part about HORAL members suggests that the center will showcase mainly Pajottenland brewers: Boon, De Cam, De Troch, Drie Fonteinen, Girardin, Hanssens, Lindemans, Oud Beersel and Timmermans. Note that Cantillon is not an HORAL member. The center potentially will be an exciting place for beer travelers to visit. No doubt there will be lambics to taste and probably cheese for nibbling. Time will tell if it's a worthy substitute for a visit to Cantillon, an earthenware mug of kriekenlambic while admiring the finches at De Cam, or a Pajottenland salmon and vintage geuze at Drie Fonteinen's restaurant. ZBF weekend: Lots of you are in Belgium for lots of activities. Be well to each other and spread those festival tokens around. Look here for my post on various happenings. Be aware that transit strikes will slow things down, but apparently not cripple them. Belgian railways are running normally. Brussels-area metro, trams and buses will be about two-thirds normal. The De Lijn buses might have issues. But for all the main events, I think all you'd need is a train ticket and a good pair of shoes. Happy drinking, pilgrims. *Yes, it stings a little. No worries. I'll treat the wound right away with homebrew and sunshine.